As chair of Asean this year, Thailand is set to host the first senior economic official meeting (Seom) during Jan 12-18 in Bangkok, highlighting 12 key economic issues as top priorities. After failing to meet an earlier target to sign a deal by November 2018, the 16 member nations of the Regional Comprehensive Economic Partnership will meet as early as next month with a new goal of reaching an agreement on the pan-Asian trade accord this fall. On the last Sunday of 2018, acrimonious elections were held in Bangladesh with the likelihood of ripple effects on regional issues. Despite prevailing emerging market jitters, Southeast Asia is one region that offers a “compelling” story as it’s turning out to be a “bright spot” on the global economic stage, a top strategist at British banking giant HSBC said. Southeast Asia will have a busy political calendar in 2019 with voters in Thailand, Indonesia and the Philippines heading to the polls within the year. Back in the 1990s, the world went through unexpected turbulence. A long-standing dichotomy of Cold War ended with two historic moments, the unification of Germany and the disintegration of the Soviet Union. Aside from election fever and concerns over free trade, it is likely that Southeast Asia will play a much bigger role in global geopolitics in 2019. Southeast Asians expect China to use their region as a “test bed” for projecting power, a new survey has found, as Beijing and the U.S. increasingly jostle for influence. 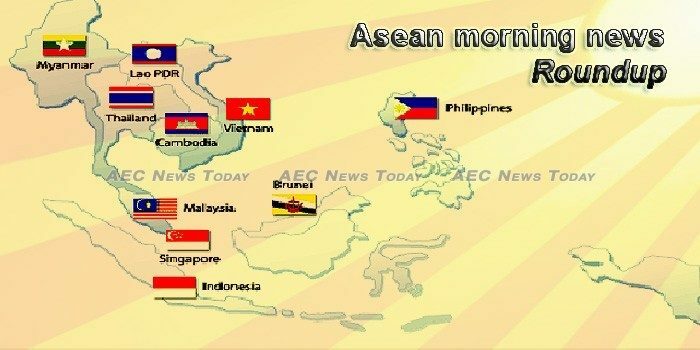 For the rest of 2019, Asean cannot be shy and hide in a corner. The New Year will likely see Southeast Asian economies face major economic headwinds namely the US-China trade tensions and the interest rate increases by the US Federal Reserve. The ASEAN-Korea Center in Seoul has opened its main hall from this year onward to companies and individuals doing or planning business with the Association of Southeast Asian Nations’ corporate partners. The ASEAN-Korea Center in Seoul organized a sustainable local tourism course in the tourism village of Nglanggeran, located in the special region of Yogyakarta, Indonesia, over the weekend. When it comes to fighting infectious diseases, progress cannot be gauged by the availability of resources; the most important metric is the number of lives saved. A reliable industry bellwether, IATA’s annual forecast suggests the global airline industry will garner a USD35.5 billion profit in 2019. Thanks to rapid development in Southeast Asia, ASEAN’s middle class is set to grow and become a critical segment of society, acting as a vital engine of growth in the region. American journalist Michael Vatikiotis understands Southeast Asia through and through. The ASEAN Student Council has organised a conference to inspire the region’s youth to protect the environment, combat corruption and be good citizens. Prime Minister Hun Sen yesterday praised his administration for bringing political and social stability to the Kingdom, improving the business climate and turning the country into an attractive investment destination. An American activist receives a $20,000 check for his conservation efforts. Indonesia’s central bank’s foreign currency reserves increased to $120.7 billion in December, it said in a statement on Tuesday. Religious intolerance is on the rise in Indonesia as conservative Muslims regain political clout ahead of general elections scheduled for April, a sign that the country is re-examining its Islamic foundations. The Indonesian government has agreed to allocate Rp15 trillion in budget fund for disaster anticipation and mitigation in the 2019 state budget. Construction of an expressway linking the city centre to the outskirts is expected to begin next month, a senior government official has said. The Ministry of Labour and Social Welfare and other government bodies yesterday held a brainstorming session on the draft of a labour regulation that addresses the issue of foreign workers in Laos who don’t have legal documentation. Malaysia Airlines Bhd (MAB) is offering up to 30 per cent off on air fares to selected destinations within the airline’s network. Malaysia’s unique constitutional monarchy means the sovereign is neither absolute nor hereditary, but is elected among the heads of the nine royal houses who rule their own states. The Employees Provident Fund (EPF) today announced that employers will, from now, make a minimum statutory contribution of 4% for employees above 60 years old against the present practice of contributing 6.0% and 6.5%. Myanmar has called on its military to “launch operations” against ethnic Rakhine rebels behind a deadly attack on four police stations last week, a government spokesman said Monday (Jan 7), as a surge of violence forces thousands more from their homes. Myanmar is planning to implement digital marketing to develop the country’s hotels and tourism sector, especially to increase promotional work to attract visitors from China’s Hong Kong and Macao Special Administrative Regions (SAR), Xinhua reported quoting local media. Myanmar will have to struggle to compete with other countries in rice market if the rights of GSP/EBA (generalized scheme of preferences/ everything but arms) are revoked again, said Ye Min Aung, general secretary of Myanmar Rice Federation, during a talk on “Democracy, Poverty and GSP’ held at the office of the Union of Myanmar Federation of Chambers of Commerce and Industry. THE country’s dollar holdings continued to expand in December after registering declines in previous months, as the peso strengthened against the greenback toward the end of 2018. The Boracay Inter-Agency Task Force adopted the Medium-Term Boracay Action Plan on Dec. 21, formally laying out programs for the island’s rehabilitation, the National Economic and Development Authority said Monday. Filipino journalists on Monday protested recent efforts by the Philippine National Police to link them with communist insurgents in the country, saying the efforts sought to intimidate one of the region’s beacons of free speech. A crypto-currency wallet that works with smart contracts, a digital marketplace to trade renewable energy certificates and an online protocol that uses biometrics to authenticate identities are some of the projects selected for an incubator programme launched yesterday. For all the increasingly sophisticated directions the economy is taking, manufacturing remains an integral part of the mix, according to the managing director of the Economic Development Board (EDB). Just seven days in to its year as Asean chair and Thailand is embroiled in a human rights controversy that threatens to caste a lingering shadow over its custodianship of the region’s 4.5 million people for the next 12 months. Deputy Prime Minister Somkid Jatusripitak is confident that Thailand’s economy for the year 2018 would grow between 4-4.2 percent, citing several economic indicators which have shown sign of improvements. Confusion has erupted over what the 150-day deadline on the election is following the enactment of the election law, with the uncertainty likely needing a Constitutional Court interpretation, according to political observers. Vietnam closed 2018 almost spot on its target of tourist arrivals, counting 15,497,791 international visitors which represented an increase of 19.9 per cent over 2017. The official target for the year was set at 15.5 million. The value went down 82.24% from the peak in the first quarter 2013. Four domestic carriers, Vietnam Airlines, Vietjet, Jetstar Pacific and the Viet Nam Air Services Company (VASCO), reported a total of 39,632 delayed flights in 2018.